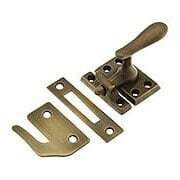 Our standard, Antique-by-Hand finish casement latch is ideal for period restorations. The authentic living finish is unlacquered and will develop highlights with use. 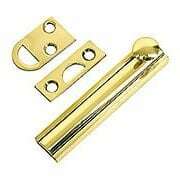 Beautifully made from solid brass, with three strikes included. 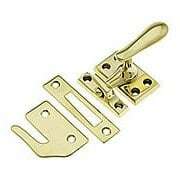 This sleek little surface bolt is the perfect companion to mid-century or contemporary door hardware. 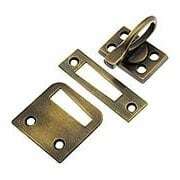 Beautifully made from solid brass, it's great for small stationary doors and casement windows, or as a horizontal privacy bolt. 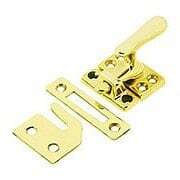 Our sleek, solid brass casement latch is pitch-perfect for contemporary interiors. 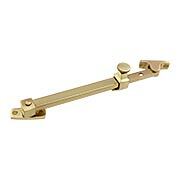 The unique, pivoting handle makes it reversible for use on right or left swing windows, while three included strikes offer multiple installation options. 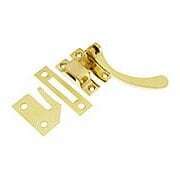 Made of premium forged brass, it's also a striking latch for kitchen or bath cabinets. 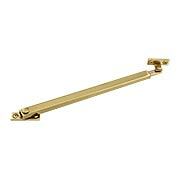 This sleek and modern casement stay uses friction to hold your window in any desired position. No knob action is necessary and there are no pre-determined stops. 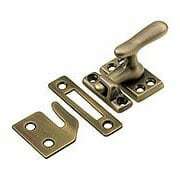 Made of premium quality solid brass, available in an array of fine finishes.